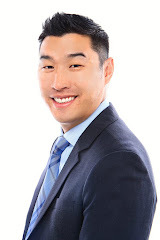 Alan Wang Realty Group Real Estate Blogger: Dream Dinners Newark Grand Opening! Dream Dinners Newark Grand Opening! A big congratulations to Frank and Jenie on a very successful grand opening of Dream Dinners in Newark. I had a very fun time building my dinners and doing demos! This is how it works, you place the order online for a session, you go in and build your dinners for the month. All of these items are made by your own hand with the freshest ingredients then you can place them in the freezer and instructions are given on how to prepare them. It's a great group activity or team builder. You can also elect to have the staff build it for you for $2 extra per meal.